The incentive program, called “Road to Rio”, was based on that year’s World Cup location, and incentivized the top 5% of restaurants based on customer satisfaction and speed of service rankings over the three months leading up to the event. Each of these top restaurants received a hamper full of chocolate for employees to share, and was then entered into a draw to win one of 11 trips to the World Cup for the restaurant manager and a cash prize to be used for an employee social event at the restaurant. Employees weren’t the only winners: The competition was designed by the National Operations team to boost the speed of service while still delivering a great customer experience. The average service time in restaurants improved by more than 6 seconds compared to the previous year, and the customer satisfaction score also improved. According to Neal Blackshire, UK Reward Manager at the time, “The combined improvement in satisfaction and speed means that we delivered a great customer experience to an additional 24,000 customers every day. This was a marked improvement and helped to create a real buzz in the restaurants. We were delighted to be able to give our employees the opportunity to share the excitement of the World Cup, and for our winners, provide a once-in-a-lifetime experience. We know that if our employees are engaged and motivated, this will positively impact our customers’ experience." We know that if our employees are engaged and motivated, this will positively impact our customers’ experience. 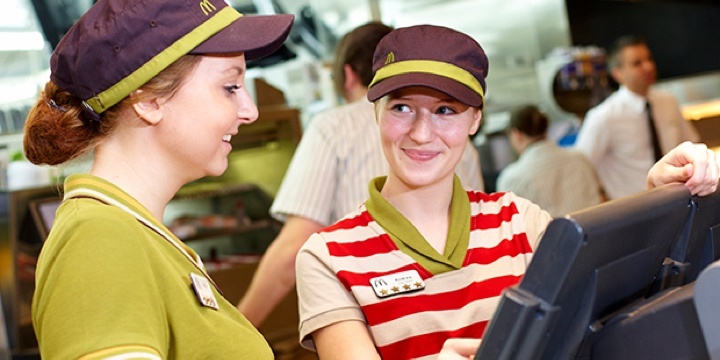 The UK McDonald’s also used its global sponsorship of the Olympics to run similar incentive programs in the run-up to both the London 2012 and Rio 2016 Summer Olympic Games. When an incentive scheme works, it’s well worth repeating! Use real-life events to create a bit of excitement and variety for your incentive programs or competitions, weaving in branding and experiences to give them more impact. Find ways for your incentive programs to target and drive behaviors and actions that make a difference to your business and your customers.